Naby Keita has detailed how he can draw inspiration from the form of Fabinho, but admits he isn’t surprised in the slightest by the Brazilian’s current performance levels. The No.3 has become a regular in Jürgen Klopp’s starting line-ups, figuring in each of the Reds’ last 15 matches in all competitions after an initial period of adjustment following his summer transfer from AS Monaco. 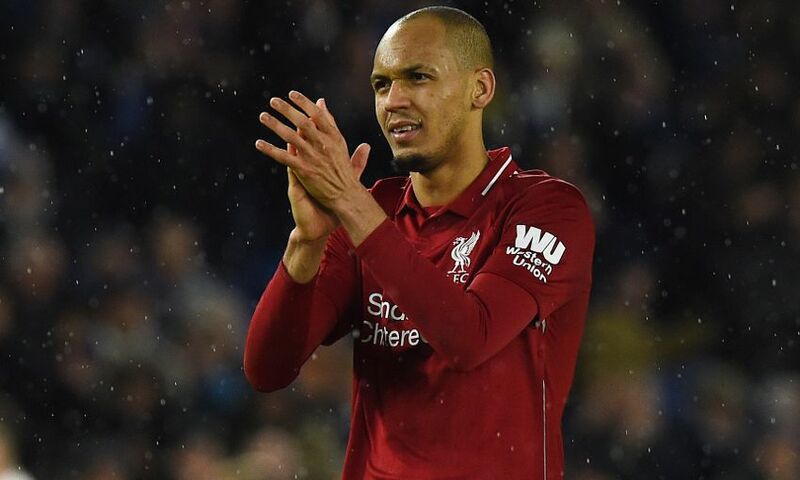 With several other options at the manager’s disposal in midfield, Keita acknowledges competition for places is fierce in that area of the pitch, but feels Fabinho is yielding the rewards of hard work at Melwood. He told Liverpoolfc.com: “I’m very happy for him. At the beginning he wasn’t playing much but he worked hard, he never gave up and he was always there for the team. The last match, he put in a great performance. “That’s what we’re here for – to work hard and try to earn our place in the team. Midfield is an area where we have a lot of options, so that means no-one wants to get injured or give up their place. That’s an important thing for the team. When you’re in the team you know already how strong the bench is so you need to give absolutely everything in the game. Like Fabinho, Keita was another new arrival in the summer when he completed his transfer from RB Leipzig and both players have tallied 25 appearances for the club so far. 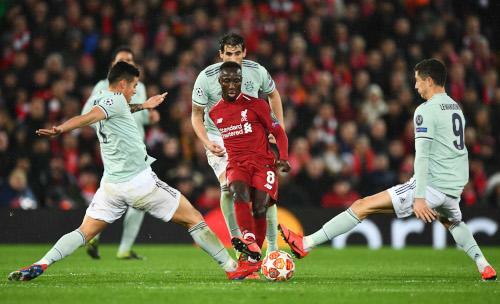 The No.8 cites the support they have received from their teammates as crucial in adapting to their new surroundings – and in his own case, particularly from Sadio Mane, with their off-the-field friendship well documented. “All my teammates have always been there for me, but of course I am close to Sadio, he has helped me an awful lot,” Keita explained. “He has spoken to me a lot and given me a lot of advice because he is more experienced. “I’m someone who likes to respond to a challenge, I never give up or stop trying, even if things were a little bit more difficult at the beginning. I was in and out of the side but I was always with the team because if the team win, we all win together – even if I haven’t played. I have a collective spirit. “Sadio knows me a bit, we were at Salzburg together and we have now moved to another level. When he went off to play in England, I said to myself: ‘I’m going to play alongside you one day.’ All that has come from hard work and desire. Prior to finalising his transfer to Liverpool, Keita enjoyed two stellar seasons with Leipzig in Germany, earning a place in the Bundesliga Team of the Season for 2016-17. Adapting to the unique demands of the Premier League, however, is a challenge the 24-year-old admits he’s had to tackle. Keita explained: “It’s a lot faster here. The style of play is a lot more aggressive and the intensity of the game is really high in relation to Germany. That’s fine, I’m now part of it, this is the league I’m playing in. I’m just going to keep working hard. “The German league is decent as well, it’s one of the best. Nothing is easy in football, it’s just about the business of working hard. Every game you play you do your best. Keita has won plenty of plaudits for his performances for Liverpool in recent weeks, with Klopp describing him as ‘an outstandingly good player’ during his pre-Watford press conference on Tuesday afternoon. Nevertheless, the man himself feels there is much more to come. “I play, I don’t watch my own performances!” he replied, when asked about his current form. “It’s nice that the fans appreciated me but I really do want to achieve more and do more. I don’t want to disappoint anybody. “I’m here to bring as much as I possibly can to the team and I want to work even harder so I can do even better than people thought I did against Bournemouth.